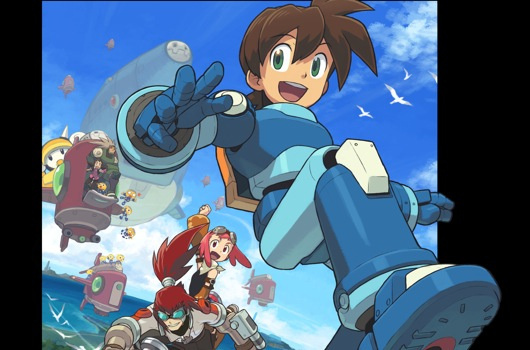 The Mega Man franchise has one of the most loyal fan-bases in the gaming industry, as shown by the Mega Man Legends 3 campaign reaching 100,000 followers recently. Will Capcom cave in and produce Mega Man Legends 3: Prototype Version for the 3DS eShop? It seems unlikely, but we can hope. With the 25th anniversary for the series on the way it may be down to the fans to celebrate the landmark, unless Capcom has something up its sleeve. The good news is that enthusiasts are more than willing to keep the series alive, as discovered by fan-site The Mega Man Network. There are apparently two new fan games in motion, one already available for download and another in the early stages of development. The first is called Mega Man Revolution, which is available now and attempts to recreate the style of the NES titles. Information, including download links, can be found on its website, while someone has already posted a speed run video on YouTube, below. The second title is called Tuttle's Legendary Travels, with Tuttle being a little-known character from Mega Man Legends. On the game's website the developers state that it's early days, but that they plan for the title to match the scale and standard of the main series. This project also promises to involve fans in the way that Capcom's abandoned 3DS project did, so this could be an interesting title for those who were involved in the Mega Man Legends dev room. Some early footage is below. So there you have it, two new Mega Man projects to look at. While Capcom may have decided to do little for Mega Man in recent times, it seems that the fans won't be discouraged. I'll knock a few "Crap" points off Capcom's name if they're at least still fine with Mega Man fan games. Has everyone forgotten about the WiiWare Mega Man games? Megaman Revolution looks like a mixture of Megaman, Metroid and Mario. I think I'll check it out. I cant say i cared for legends 3 anyway. But i would like to see a new 2d title for 3ds, similar to ZX. @FonistofCruxis Capcom has been a little annoying lately, but Professor Layton vs. Ace Attorney shouldn't be in there. It's more of Level-5's territory and it doesn't even have a Japanese release date. @LztheBlehBird I remember hearing that the publishing will be done by Level-5, though I don't remember where. Personally I think Capcom has next to nothing to do with it. They're just letting them use their characters and lending Shu Takumi. It was Level-5's idea, of this I'm sure. In light of Capcom's recent behavior It's probably a good thing that they don't have too much to do with it. Hey, you forgot about Mega Man X Corrupted; which follows the story from Mega Man X5. http://www.youtube.com/watch?v=eIMyDCAhpQw I hope you can update the post!!! Don't forget Mega Man/Rockman 7 FC - An apparently GameMaker(I think, though it might have been made in another program?) designed Famicom-restyle of Mega Man 7, Not a rom. However, the game is in Japanese, & the controls aren't customizable, save for switching between, I believe x, & z for jumping/buster functions. Also, due to the game being more akin to the Nes Classic series games, there are obvious differences, such as no screws/bolts, or intro, & robot museum stages. The person forgot to mention Inafune leaving the project he initially started that Capcom did not want to work on in the first place right in the middle of it. That's a very important piece of information these people seem to miss or just plainly want to ignore because the truth is really really ugly, now, huh? I can't believe they're giving old "I can't swim...I don't have the room key!" his own game. Crazy, just crazy. Yeah, he's a little-known character because he's from The Misadventures of Tron Bonne, not Mega Man Legends itself. That spin-off game is in and of itself lesser known, sadly (great game). @Stuffgamer1 Your icon is so awesome! What about Megaman X Corrupted? ugh, fan games are my pet hate. I'm not going to point out that unauthorized fan-games are illegal because I'm sure the people in charge of Nintendolife already know that. Right? @Usagi-san: it would depend on whether these are games created from scratch or by editing new levels into existing code. it would also depend on whether or not they're making a profit on the project. provided they went through the trouble of coding everything on their own without borrowing from the existing works and they're not trying to cash in on it, this would be in the nature of fanart and fanfiction — it's a gray area, and prominent works would be in danger of receiving a C&D at worst. The megaman revolution game; Good effort but it may as well been a completely different game. In fact, had you made a megaman X clone, reworked your ideas, and added even more polish to it you would have made a mint. At the very least it would have made it to an online service of some sort. Just now I notice that things have gone wrong with the Megaman franchise since the creator left! First that game that would appear on the PS-store was cancelled (though it didn't look that good). Then Megaman legends 3 got cancelled! In recent years there where quite some games, like Megaman 9 and 10, Megaman zx and zx advent, the battle network games, etc. But now it all seems dried up! However, I guess the franchise will be back someday! Now it's really time to put Megaman into the third dimension! Make a proper 3D free-roaming Megaman! It must be possible! By the way: It also has been a while since we last saw a sidescrolling Castlevania on a Nintendo device. Recently I tried the Castlevania franchise, and I like it! I have Castlevania 4, Castlevania Rebirth and Castlevania: Rondo of blood (all courtesy of the Wii-shop). Rebirth and Rondo are the most fun so far, but they are of the old lineair style. I guess the metroid styled ones are even better. Hopefully they bring a metroid styled one to the 3DS someday!! @theblackdragon: Which is why it's my pet hate. There are a LOT of misconceptions out there about copyright and fan-games, fan-art etc.Including the one you just mentioned about depending on whether the creator of a fan-game is making a profit. But whatever. I've tried to inform people before and it's usually about as useful as beating my head against a brick wall. @Usagi-san: true, the 'but i'm not making a profit' excuse doesn't always work against a company attempting to preserve the integrity of its intellectual property, which they have the right to do. However, it's up to the companies to have their lawyers send out the cease and desist orders, and again, that's all that would happen. A quick C&D, the offending material is taken down, and that's the end of it. No fines, no jail-time or anything, just a threatening e-mail from a lawyer and a 'sorry, we thought we were in the clear, our bad' from the people behind the fan-projects in question. @theblackdragon: So what you're saying is that Nintendolife should overlook the fact that what they're promoting in this article is copyright infringing because nobody is going to get jail time over it? I warned people that Mega Man 9 was the first step to killing the franchise. How long till the C&D is sent out? @ecco6t9 I missed that memo dude...can you reiterate how Megaman 9 (a critically and financially successful venture) spelled out the doom of the blue bomber franchise? 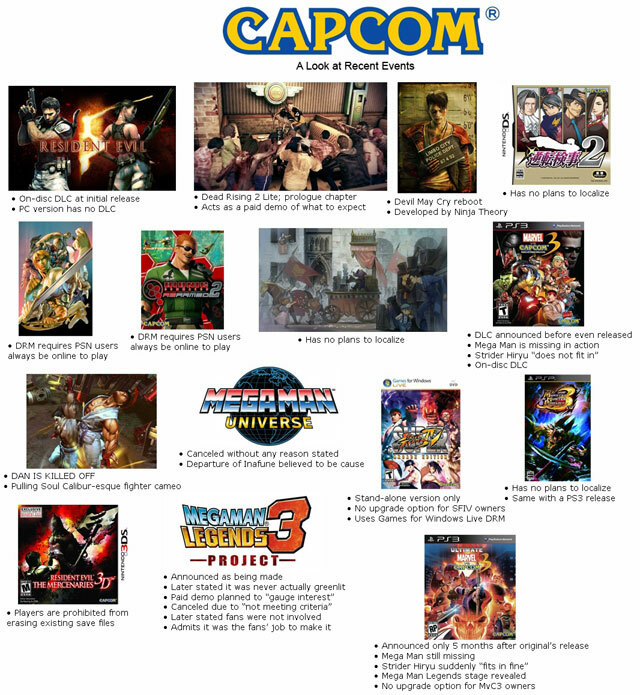 About Legends, I actually still expect Capcom to come around on this. The 3DS market is currently looking very healthy in Japan and skewed more toward a core audience. With the game being eshop distributed (and with a decent amount already invested in creating game assets) I don't see why Capcom would leave a fair business opportunity on the table. I would bet They could get Nintendo help to market as well, using some of that Monster Hunter "goodwill". @Usagi-san - The expression is Pet Peeve not Pet Hate. You might as well just say "Hate" all together if your so against fan made items. Like how I'm saying, "I hate when people don't say expressions correctly." @Sakura_Moonlight2421 :Actually pet hate is perfectly legitimate google it if you don't believe me. Nintendolife can do whatever they like but the question is whether they should. Contrary to what your feelings on the matter are I believe it IS the duty of readers to question the decisions of staff because they aren't infallible and sometimes they make mistakes. Huh. I'd better download the one that's available before Capcom has it shut down. @Usagi-san: and what of other fanworks? what about the harp-playing twins who choose to play Legend of Zelda music, should they be hunted down and shot? How about the 60-bazillion thirteen-year-olds tracing crappy images of Sonic the Hedgehog, coloring them in MSPaint, and then uploading them to DeviantART, are we going to chop off their hands? And what of the people we just posted about selling those retro pillows on Etsy? i'm afraid I don't recall you making a stink about it in those threads either, so color me confused on this one. if you want to get NL-technical, in terms of interpreting our Rules, we're looking to avoid things that are outright illegal. Piracy is illegal. Flashcarts allow the circumvention of proprietary lockout chips/technology, which is illegal depending on where you are in the world (definitely in the UK, though, which is where Nintendo Life is located). ROMs are illegal if you're uploading them to the internet. You can be severely fined and/or serve jail time depending on where you are in the world and whether you choose to or are able to settle your case if caught. We do lump homebrew into the same category in terms of enforcing our Rules, though it is technically not inherently illegal (not on its own, anyway, and it depends on the circumstances involved); it's just on the side of the 'can of worms' part of the 'gray area', and it's easier to knock it out on-sight than have to continually babysit the thread(s) involved. What this is, however, is a fan game — it's a derivative work at worst. They're not stealing the original games and trying to pass them off as their own, they've taken the original games and made their own new works in the same visual and gameplay style — yes, likely without permission, but again, it's in the same league as fanfiction and fanart. It's up to Capcom to protect their own intellectual property, same as any other company or individual. We're sorry it bothers you personally, but who knows — the publicity they're receiving now could be what nets them their C&D, thus fulfilling your ultimate wish on this one. @Uncle_Optimus Mega Man 9 showed that Capcom did not care about moving the series forward or investing any real money into doing a modern Mega Man game by moving the series 2/3 steps back. Granted Mega Man 9 had some fan service in going back to 8-Bit roots, the press packs with the bad box art. But the overkill was Mega Man 10, the whole "do the same thing we did before.". @Usagi-san - We in the U.S. have never even heard the term Pet Hate used instead of Pet Peeve. If you don't like it, don't read it. Simple as that. They make the calls on posting stories and news. Not us. If you want to make a stink about it you should be contacting them directly instead of wasting tbs's time. I never suggested we go back to the middle ages. I've followed your advice and made a complaint using the contact page. Music a bit of a let down?